Photo: Nando Machado / Shutterstock.com. The Irish transport minister has given the green light to a €100m project to increase capacity on Luas’ Green line. 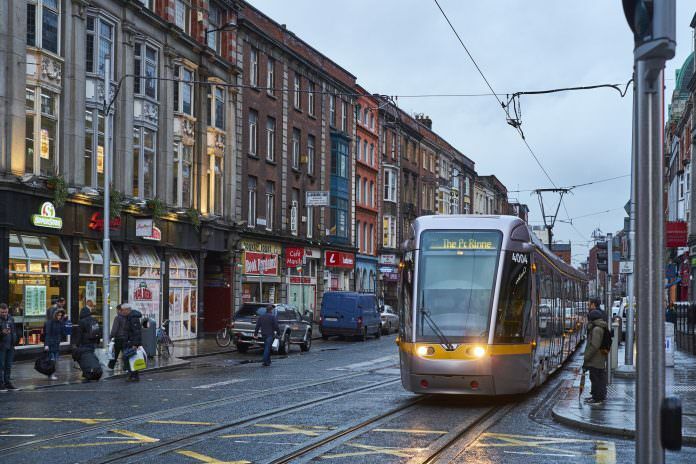 Officially titled the Luas Green Line Capacity Enhancement Project, the scheme includes the purchase of an additional eight trams, the lengthening of the existing 26 Green line trams and the extension of the Sandyford depot to accommodate the new length vehicles. Irish transport minister Shane Ross said the project will begin in 2018. He added: “The new trams will allow for 60 additional passengers to be carried per tram – a total of 369 people per tram in all. “This is a follow-on project from Luas Cross City which I look forward to launching on December 9. “A complementary project to lengthen the platforms at Green line stations is also near completion. At the end of the Green line project the capacity will increase to approximately 8,160 passengers per direction per hour based on 24 trams per hour. The increase in capacity is 1,760 passengers per direction per hour. The Irish Department for Transport said the resultant capacity increase will assist in reducing crowding on the Green line thus enhancing accessibility for mobility and sensory impaired users during peak periods. The Green Line Capacity Enhancement project was identified in the National Transport Authority’s Transport Strategy for the Greater Dublin Area 2016-2035.